I was only writing yesterday about the pervasiveness of snobbery in the theatre by some cultural critics and commentators. As if on cue, Guardian columnist Stuart Heritage has turned his critical guns on musical theatre. Mark Shenton: Is snobbery killing theatre? Musicals are the lowest form of entertainment, and I say this as someone who has spent some of his morning watching a cartoon dinosaur kick a cartoon elephant unconscious on the YouTube Kids app. They have no place in the modern world now that we have speech and emojis. Watching a musical in 2018 is like being made to listen to someone with terrible taste’s automated Spotify Discover playlist while they sit on your chest and stop you from leaving their house. I just asked how your mum is, for crying out loud, you don’t need to reply by playing me Galway Girl three times in a row. Okay, I get it – he really doesn’t like them. But why the ire? No one is forcing him to go, let alone listen to Elaine Paige on a Sunday afternoon. And just because he doesn’t like them, why should the millions that do be denied the chance? Musicals can, of course, be candyfloss – popular theatre for popular tastes, like Mamma Mia!. I always love that show’s advertising slogan: “You already know you’re going to love it.” Jukebox shows like it trade on familiarity – people know the music going in, and want to be reminded of it. But musicals can also tackle serious subjects. 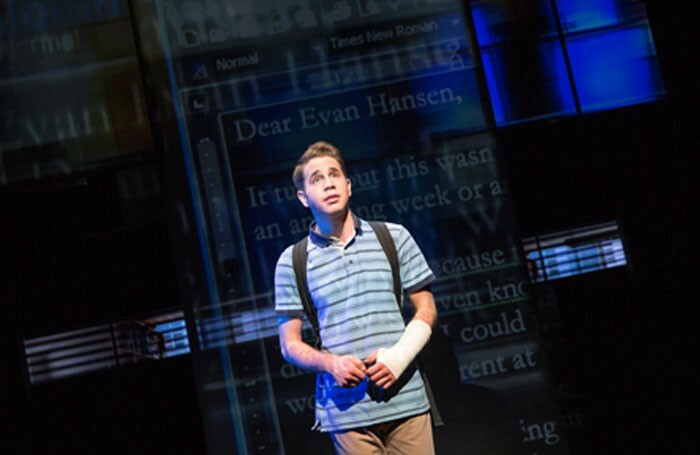 This year’s Tony-winning musical Dear Evan Hansen is about school bullying and the power of social media. Next to Normal, yet to be seen in London, is a devastating portrait of a mother’s bipolar depression disorder. Yet another recent Broadway musical, Fun Home, coming to London’s Young Vic this summer, tells of a lesbian daughter and her relationship with her gay father. Caroline, Or Change, transferring from Chichester to London’s Hampstead Theatre in March, is a thrilling chamber opera about a white Jewish family and their relationship with their black maid told against the backdrop of a growing civil rights movement in 1960s America. London Road, at the National, dealt with a series of real-life murders in Ipswich. That’s just a handful of recent examples of how bold and brave and big the form can be. Yet I’m always meeting people who base their distaste of musicals on once having seen The Sound of Music on Christmas television. And beneath that musical’s saccharine sweetness, of course, there’s actually quite a serious story about a family fleeing the Nazis. I wonder if Heritage would change his tune (in every sense) if he actually saw some more wide-ranging fare – Hamilton, for example. The notion that musicals are somehow a lower form of art seems to be felt at the very highest echelons of the industry itself – even at Equity, it seems, which recently approached its members with a survey that approached three categories differently: one for performers in musical theatre, one for actors in plays and one for stage management. This drew anger from musical theatre stars including David Thaxton, who claimed Equity was creating “a hierarchy, a divide, it keeps people in boxes”. Equity’s unthinking designation of some of its members and Heritage’s claims about the irrelevance of musicals in a modern age both come from the same place: a snobbishness about the form itself that is based in ignorance. They really don’t know better. Yet the response is just a knee-jerk reaction against the unassailable fact that musicals are also uniquely popular: they continue to be the biggest drivers of attendance and revenue in London theatre – across 2016, more than 8.1 million people saw a musical in the West End (as against 4.1 million seeing plays), spending more than £400 million to do so (as against £152 million for plays). And, across Britain’s regional theatres that are members of UK Theatre, musicals accounted for some 40% of the total box office income of nearly £470 million taken across 2016.